Say Thank You in a special sweet way to those friends who have gone above and beyond. 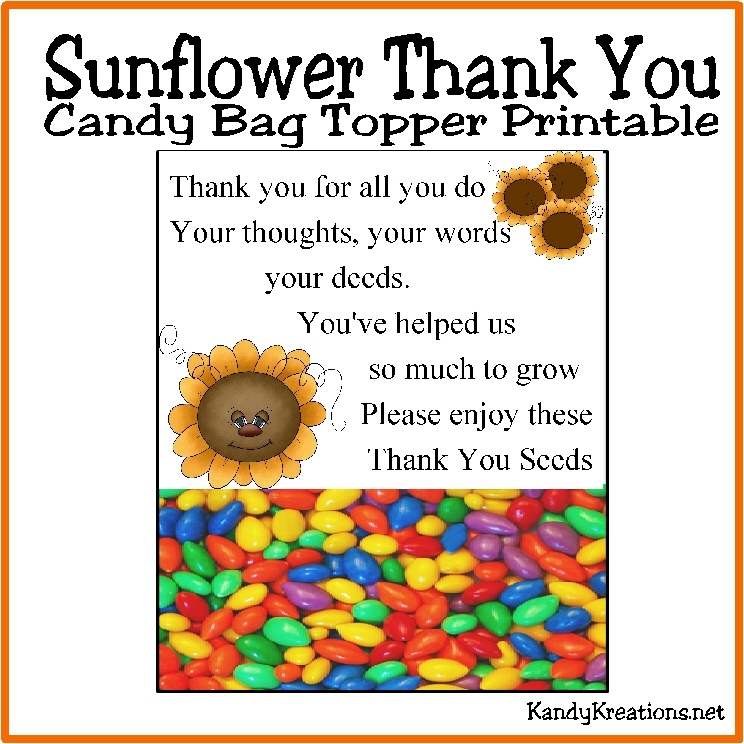 This sunflower thank you candy bag topper is a perfect printable to give to your loved ones and friends. There are times in our life where a simple thank you is not enough. I'm not sure even a big thank you is enough either, but we all have friends that have jumped up to help when we needed them the most. Recently, I was contacted by a friend who needed a special thank you. She has a ton of people that need a little extra something that shows how special they are. So while looking for an inexpensive, fun, and sweet way to say thank you, these sunflower candy bag toppers were born. They are a simple printable, like all of our candy bag toppers are. These are designed to have 6 on a page. Simply print them out on to card stock, cut into rectangles, and fold in half. Fill a 3x4 zip top bag (you can find them on Amazon here or at your local craft store) with your favorite candies (I love to use candy sunflower seeds to coordinate with the sunflower theme.) Fold your bag topper over the top of the candy bag and staple in place. 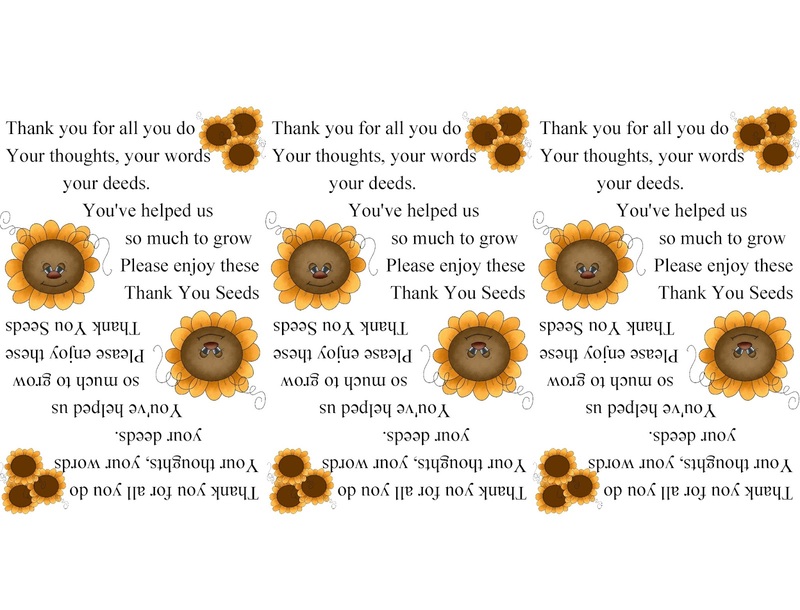 These make cute little thank you gifts and just for you, here are the 3x4 bag topper printables in a thank you from "us" and a thank you from "me" themes. If you want the complete set (it has a 3x4 bag topper for a bordered printer, tags that can be added to any size bag, and a sandwich size bag topper) you can find them in our store. Is there someone in your life that needs a special thank you?